Our mission at Morehouse General Hospital is to provide the highest quality and most cost-effective care which sustains and improves the health of all those we serve. Our vision is to be the regional center of choice for those health care services we offer in Northeast Louisiana and Southeast Arkansas by recognizing the value of our physicians and employees, committing to quality improvement, and remaining financially viable in a competitive environment. 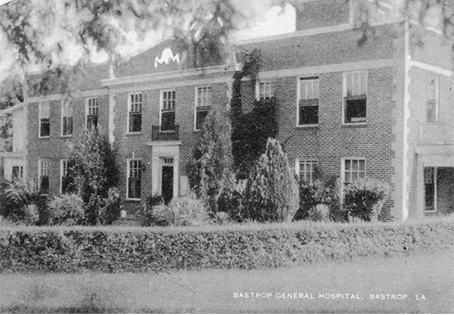 Morehouse General Hospital opened its doors in 1930 as a 19-bed acute care medical facility. It has grown to a 49-bed facility that is dedicated to meeting the ever-changing and growing needs of our community. Morehouse General Hospital is proud to be a “rural” hospital that offers many of the benefits of a larger hospital in a metropolitan area. We offer state of the art technology, advanced equipment, and highly skilled staff….right here at home. Morehouse General Hospital meets the requirements for licensure as required by the State of Louisiana and the federal and state guidelines for participation in Medicare and Medicaid programs. Beyond our primary mission of providing high quality, cost effective health care services to patients, the hospital represents a vital community economic development asset. Morehouse General Hospital prides itself in striving to stay abreast to the latest trends in health care. © Copyright 2019 Morehouse General Hospital.